I am elated to know Bellabox will be sending me their August beauty box for review! I’ve heard so many awesome feedbacks and can’t wait to get my hands on mine. It finally arrived and I am excited to share with you what I’ve got. 1. 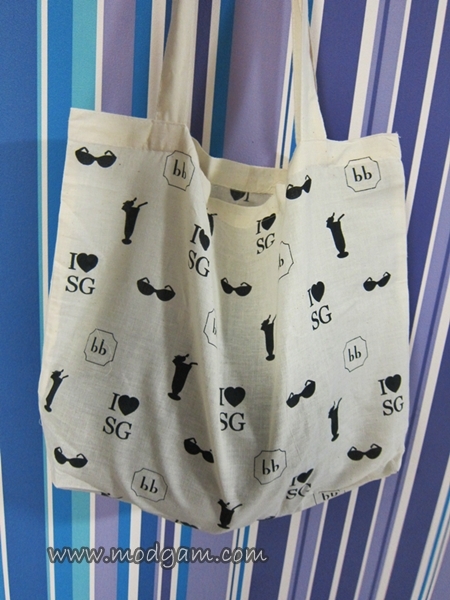 I LOVE SINGAPORE INSPIRED BEACH BAG will come in so handy, its light and imprinted with cute pictures all over it. 2. 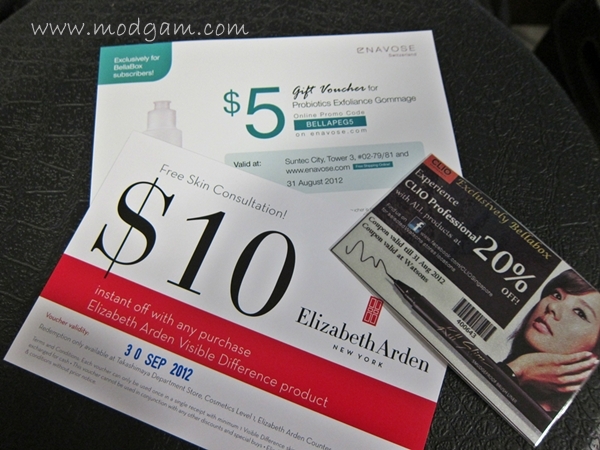 Beauty vouchers!! I can use it for myself or share it with friends. after a week, your skin texture will improve and the longer you use, you will be able to see that your skin feels rejuvenated, youthful and more radiant. 6. China Glaze Nail Polish: need I say more? I love China Glaze Nail Polish and you can always count on them for every colors, glitters to shimmers and neon! I don’t have one in this color but that is good cos now I will be able to try it. 8. 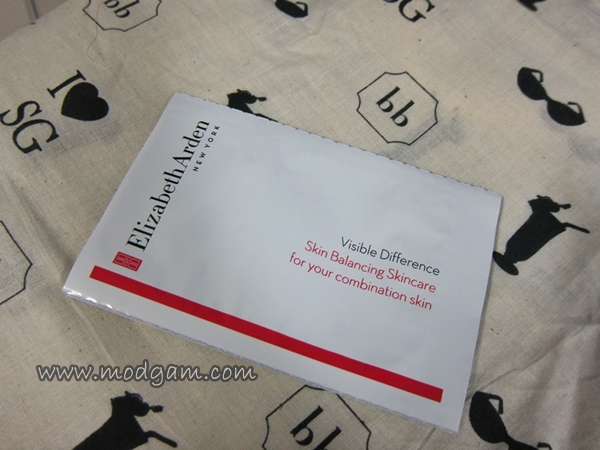 Elizabeth Arden Visible Difference Skincare: a spa-inspired essential skincare to help balance skin to reveal its natural health and radiance. I like the sound of it already. You will get 5 of the latest prestige, boutique and cult beauty products from around the world. For as little as S$19.95/month, you will receive 19 reward points and receive your surprise prestige beauty products! Read more HERE! 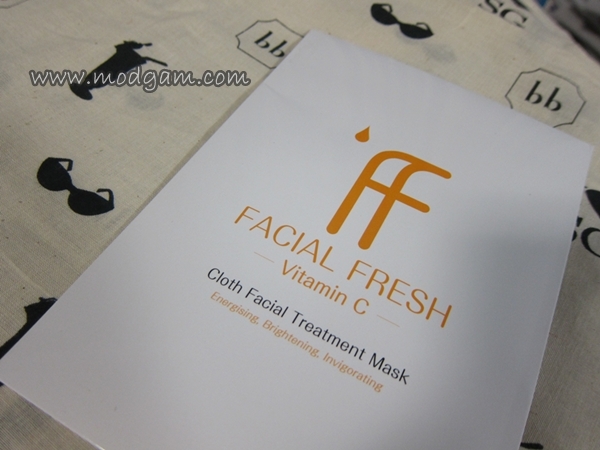 TGIF With BellaBox At Wangz Hotel – Part 1 « Modgam's Playground; Fashion, Food, FunFinds.